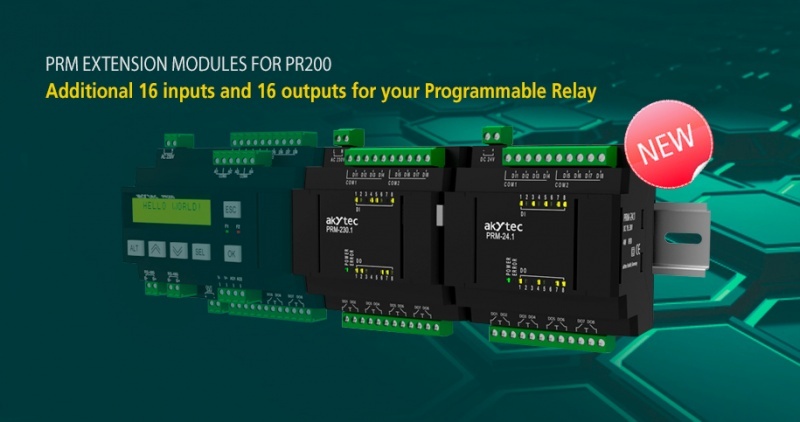 The programmable relay PR200 is a universal and easy-to-use device designed in a plastic enclosure for DIN rail mounting as an alternative to PLC. 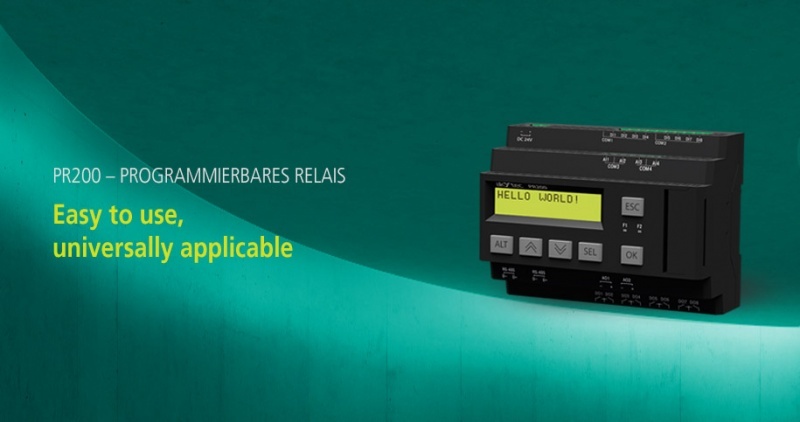 The relay is available in several versions, for DC and AC voltage, equipped with only digital or a combination of digital and analog inputs and outputs. 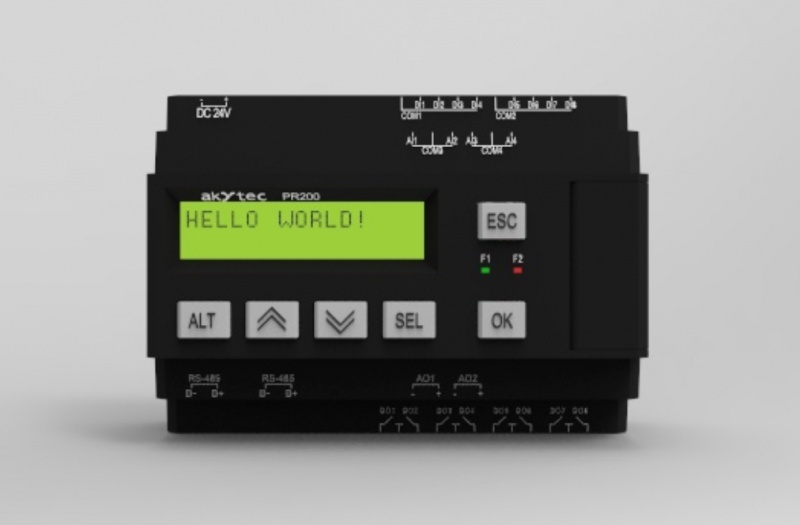 The device has a 2-line 32-character LCD display. 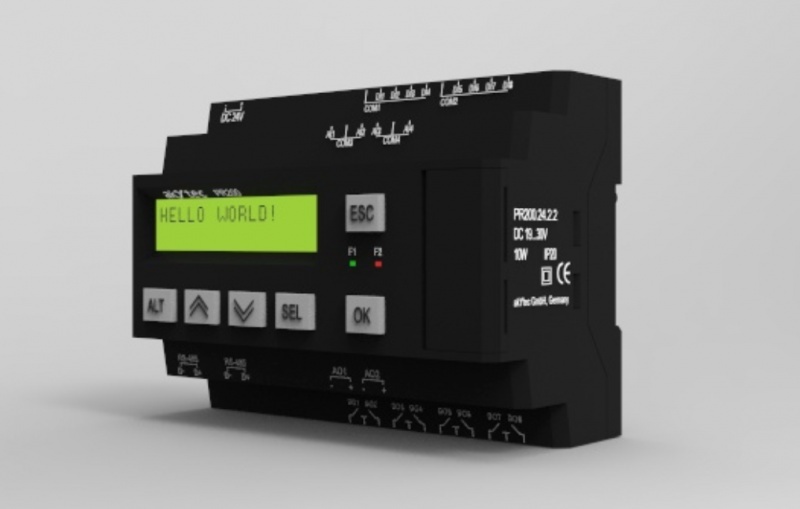 A real-time clock and up to 2 RS485 interfaces for connection to Modbus networks are available. 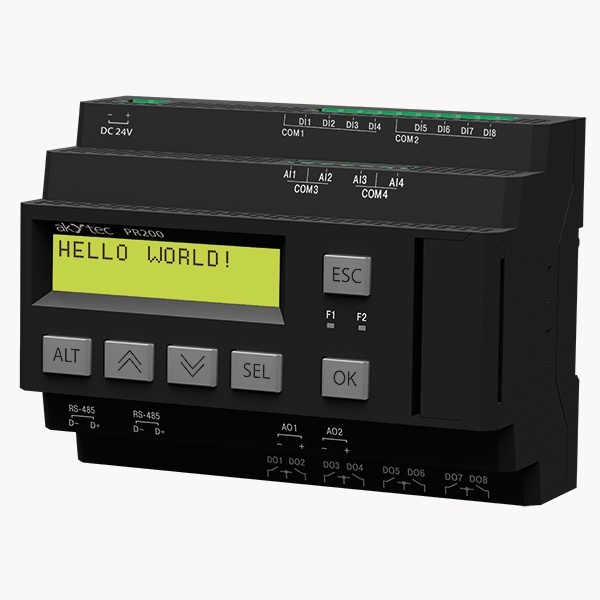 The relay can be expanded with additional I/O-Modules (for example, our modules of Mx110 series). 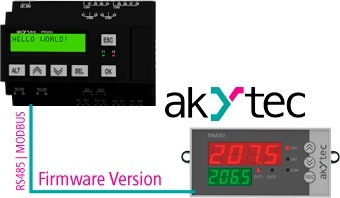 The PR200 is programmed in the easy to use akYtec ALP software (available free of charge) using standard FBD programming language (IEC 61131-3).  This software offers a library of many function macros and also allows creating your own macros. In addition, there are also available simulation mode and a complete overview of resource usage. Once the application program is done, it can be transferred to the relay via mini-USB port on the device front panel. 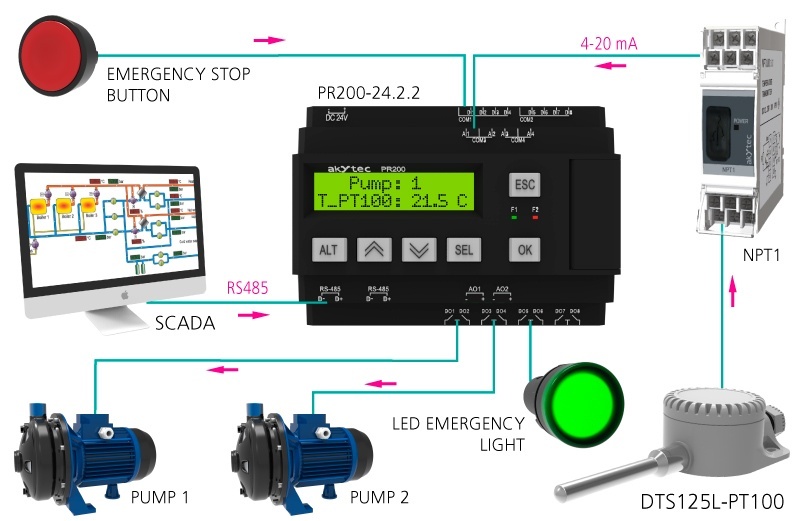 PR200 can be used in numerous applications such as building automation, lighting control and access control systems, technical equipment such as pumps, fans, compressors and presses to conveyor and filling systems etc.